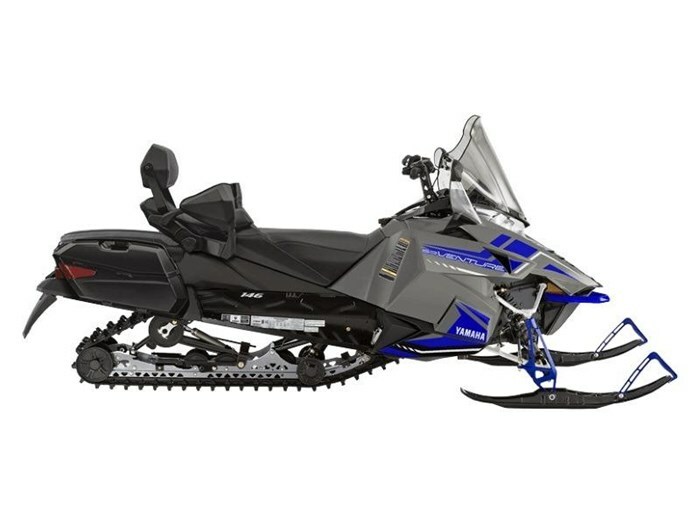 2018 Yamaha SRVenture DX CONQUER SNOW The new SRVenture DX brings an updated look to the 2-Up Touring line for 2018. 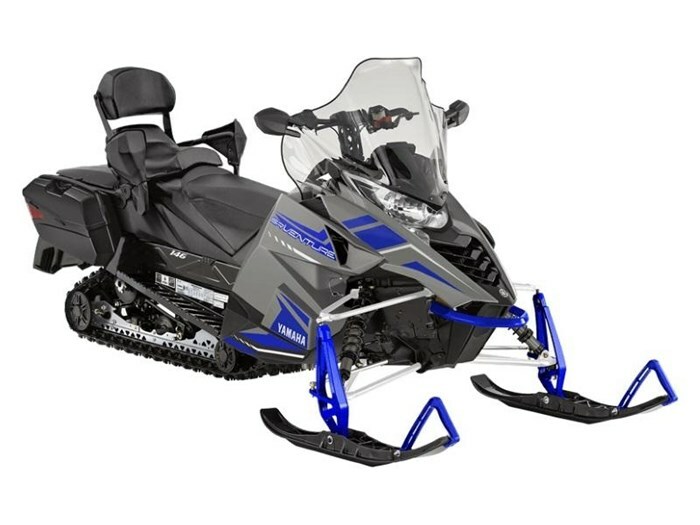 From the extra tall windshield, deluxe 2-piece heated king & queen seat and rear adjustable hand warmers, the SRVenture DX comes with all the creature comforts for spending long hours on the trails. EXTRA TALL WINDSCREEN & MIRRORS Offers premium wind protection Features built-in mirrors Sleek design DELUXE 2-PIECE HEATED KING QUEEN SEAT Heated 2-up seat Provides the ultimate warmth and comfort Fully adjustable backrest FRONT / REAR ADJUSTABLE HAND WARMERS Independently controlled hand warmers Functional wind deflectors for passenger Stay warm even on the coldest days Features may include: Dual Shock SR 146 Rear Suspension The Dual Shock SR 146 offers a long profile version of our acclaimed trail comfort suspension. This lightweight suspension offers premium bump compliance with excellent resistance to bottoming. The Dual Shock SR 146 is a "coupled" skid-frame that utilizes a unique "sliding" front arm mount with half an inch of movement at the front arm "slot". This active arm design delivers controlled (reduced) ski-lift during acceleration while retaining a good measure of independent front arm tracking. Extra Tall Windscreen & Mirrors An extra tall touring windshield offers premium protection from the elements and incorporates mirrors that effectively gives you a view of your riding partners without having to take your eyes of the trail that lies ahead of you. Deluxe 2-Piece Heated King Queen Seat A plush 2-up heated seat provides the ultimate in warmth and comfort on even the coldest of winter days. A simple flip of the dash-mounted switch allows you to choose from two settings of warmth and your passenger has their own controls. The passenger also gets a fully adjustable backrest. Dual Accessory Power Plugs Both driver and passenger are provided convenient outlets for helmet visors or other 12V accessories. Front / Rear Adjustable Hand Warmers Both driver and passenger stay toasty warm with independently controlled hand warmers. The passenger also gets functional wind deflectors added to the padded rear grab bars to help keep the elements away from their hands.